“The nostalgia and the glamour of yesteryear are quite en vogue, while palates continue to become more sophisticated”! We conceive our new spot to be an open, active arena for decadent delights and to cultivate a distinctly social, dynamic and inviting environment for Corsicana’s savvy clientele and not only."  Andreas' Bistro is a business based in Corsicana, Texas. We are pleased to serve all your favorite entrees. Just to sample all our fantastic choices..
"This a hidden gem! Originally came for a company event then came back with the wife to treat her to a delicious Sunday brunch ! Would definitely come back again!" "Couldn't have been any happier with dinner! Excellent service from a sweet, young new waitress. Every dish was amazing but the standouts were the cottage fries, tuna tartare, paella and crab cakes. We will definitely be back. The setting was beautiful." "Best place outside Dallas!!! Jessica is the best waitress and the chef is amazing. So thoughtful and personal."